Let’s talk about the woman your man used to be with. His ex. Even though they’re not together anymore, she feels like competition. Like (no matter what he says) he might still have some residual feelings of attraction towards her. It doesn’t help that a 2012 study found that just under half of young adults had gotten back together with an ex … and just over half reported sleeping with an ex even after they broke up. So there’s some truth to the idea that exes can be competition. But that doesn’t make his ex the enemy. Rather, she’s someone who can help you. She’s shown you your guy’s weak spots. The way their relationship ended gives you valuable insights into how you can lay an even stronger foundation this time around, ensuring that no matter what happens, you’ll have a good sense of what works with him and what doesn’t. So how can you find the gift she left you, especially when just thinking about her feels uncomfortable? Well, it begins with just a simple realization. That history tends to repeat itself. Part of the magic of starting a relationship is a feeling as if no one has ever brought out the real you before. You quickly begin to feel as if you know him better than anyone else alive—certainly better than his ex—and the feeling is mutual. But what you’re seeing is only one side of each other. He’s seeing your best self, and you’re seeing his. When the newness wears off, you’ll relax into each other’s company. You’ll feel free to treat each other a little more casually, maybe even a little less respectfully. That’s when old patterns rear their heads. You can’t see those patterns when your relationship is new, but you can catch glimpses of them in how he talks about his past. No one likes talking about past relationships. Why rehash the past? Surely it’s irrelevant to the present. Besides, you don’t want to hear about her. You don’t even want to think about him with another woman. But avoiding that conversation prevents you from gaining valuable information about how he copes when relationships become difficult. Here are 5 points to pay attention to when he talks about what happened with his ex. When did he finally reach his breaking point? How did he try to resolve things before getting there? Does he admit his own part in the relationship breakdown? How much does he talk about her bad traits? What does he intend to do differently this time around? 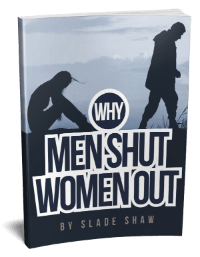 Listen closely to his answers, because they can tell you a lot about how he deals with stress in a relationship. A man who realizes relationships take work, and recognizes his own faults, is a keeper. In addition to catching a glimpse of your partner’s patterns, his past relationships also offer a glimpse of his shadow side. We all have a shadow. It’s the part of ourselves we try to hide, because it’s us at our worst: angry, insecure, jealous, etc. None of us wants to reveal our worst side to the one we love, and we don’t want to see their worst side, either. Surely love means only seeing the best in each other and ignoring anything negative. In part, that’s true. Couples who stand the test of time do see the best in each other. But they don’t turn away from the worst, either. It’s more loving to allow each other to be human, warts and all, than put each other up on a pedestal. In her book Committed, Liz Gilbert gives her fiancé a list of her bad traits. She wants to get it all out there before they get married. He responds by sharing his own worst traits with her. That moment of vulnerability helps them become more committed, because they know what they’re in for. Knowing the worst about someone frees you to love them just as they are, without requiring them to be perfect. When your guy’s last relationship broke down, he probably wasn’t at his best. Are you comfortable hearing him reveal the things he said and did, even if it goes against what you want to believe about him? If so, then his ex has given you a gift that will pay off enormously. She’s given you the gift of clearer sight. You don’t ever have to meet his ex. Yet you can still learn from her experience and avoid her mistakes. Relationships are tough, and we’re all learning. So use every little advantage you can get. 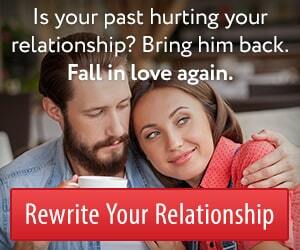 View his past as a treasure trove of lessons you can use it to grow the relationship toward lasting intimacy. I wish I had taken that advice to learn from his ex. Instead we argued so much and wasted precious time. Then my love died from a massive stroke and a blood vessel burst in his brain. Worst off the last time we spoke, we talked normal, no arguing but we didn’t say I love you to each other. Awesome piece. I am loving every step of the articles. Keep the good work.